What does "normal maps" exactly means? Woah! I didn't know, this could you quote the post? That's just detail noise, it was added in 0.971, and will have normal maps in 0.972. I thought SpaceEngine couldn't use normal maps? Of course it can, and it does. 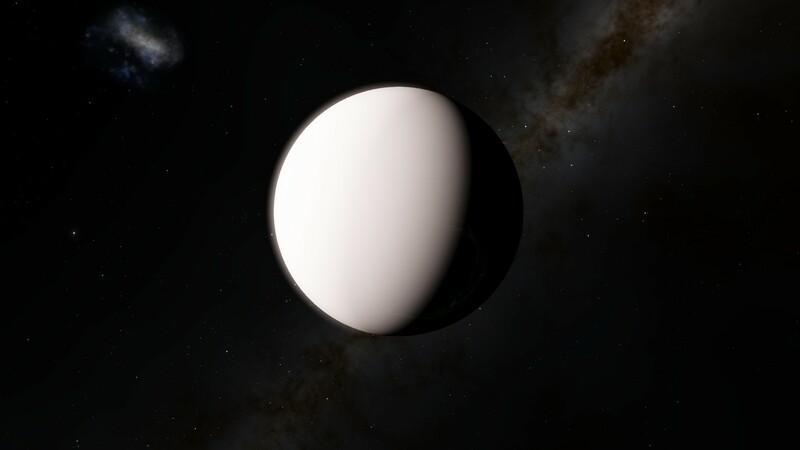 You just can't specify a normal map from a file and use it for a planet. But in almost all cases this doesn't matter. Wow this is amazing, really looking forward to the next update (that will hopefully released in some months, i mean it has been almost a year now). These texture packs are not working for me. I'm placing them in the right Earth folders but nothing is updating. If anything, I've lost my land because I deleted the old texture files and now I don't even show land on my Earth. What am I doing wrong? I think is because the new pak files system that is used in 0.972. i can´t make it work too. Someone can upload the official modes in torrent? Only old files are in torrent the new ones are only hosted in spaceeingine site, the download speed is slow for me, around 600 kbytes p/s. Or maybe i can do the pak file by myself using the old system with folders and files, not sure if it works. What is wrong? Earth didn't increase terrain quality? Are you sure? It's quality will be far from procedural planets even with this addon (look at screenshots on the download page). Pak files for Earth should be placed in the folder "SpaceEngine 0.972/textures/planets/Earth/". Nothing else should be changed (no deleting of the old files or editing of the scripts is required). i have SpaceEngine v0.971 , now i downloading v0.972 it can works good ? BendingSpace, you need to download all levels, not just the highest ones. This was explained in the instructions on each addon page. Hi guys, I'm pretty new here but i love space engine. Im not that pro at programming and such so do any of you know if this bug happens often when you use the full mod pack?